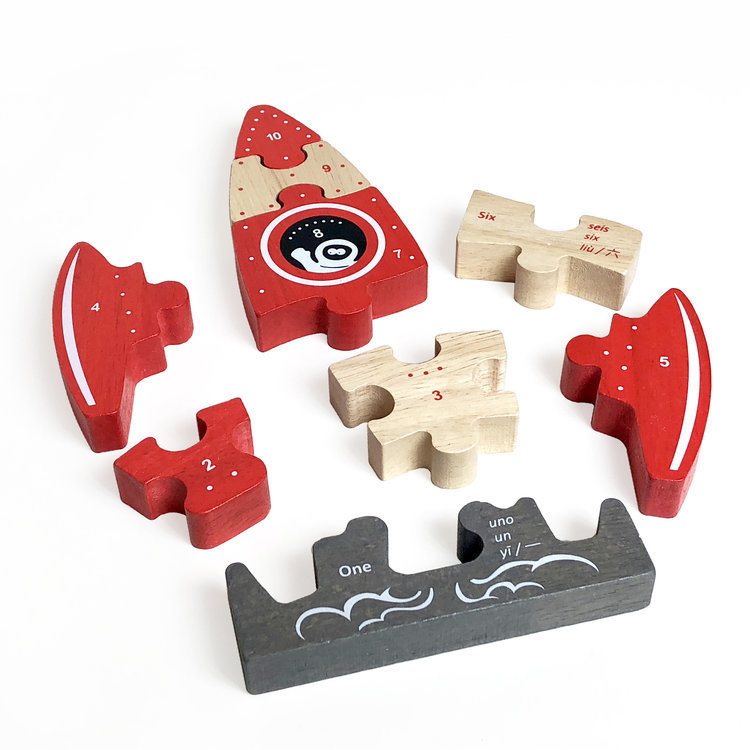 An out-of-this world multilingual numbers puzzle from BeginAgain! 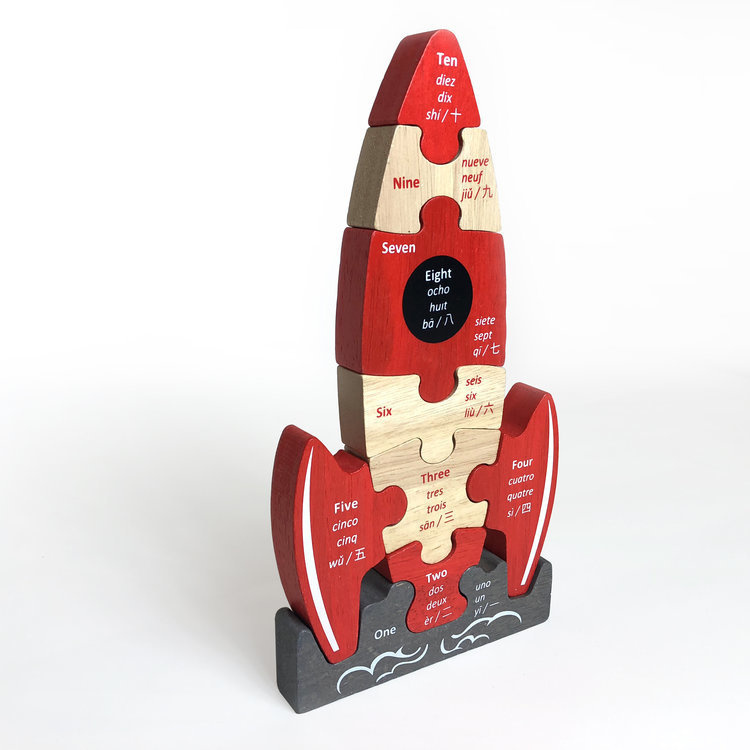 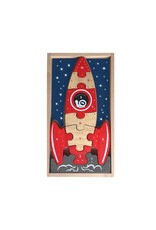 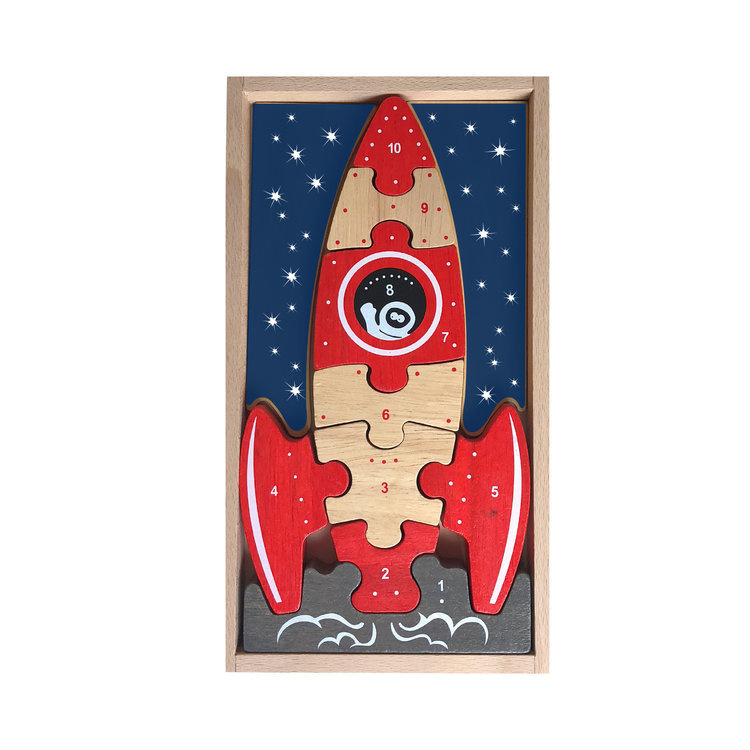 Inspired by the 50th Anniversary of the Apollo 11 Moon Landing Mission, this double sided wooden puzzle introduces numbers 1-10 and counting in English, Spanish, French, and Chinese. 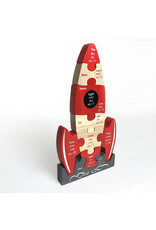 Eco-consciously made of sustainably sourced rubberwood and colored with child-safe stains. 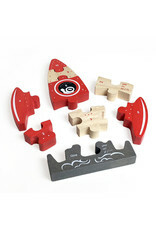 Super easy to clean too!